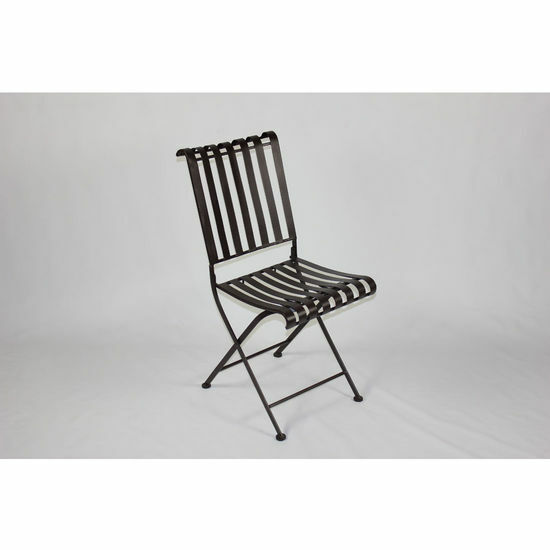 These beautifully crafted rounded top slotted heavy duty metal folding chairs are a great seating option especially, for additional seating when guest come to visit. The metal is finished in a rich powder coated brown which gives it a distinct look. 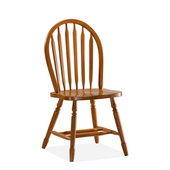 The slatted chairs come in a set of two for an intimate dining experience. The feet on the chairs come with a plastic insert that keep the chair from damaging the floor when being moved. Clean with a dry non abrasive cloth. Light Assembly required.